Jeffrey Coltman-Cormier This is a moving album Favorite track: Rasha Rizk - Elegie (Shuko Production). Dani Mari Wow! This album is amaaaaaaaaaazing. So impressed by all of the ladies involved on this album. The opening track is incredible! Thanks for putting this musical magic together! danimarimusic.com Favorite track: Maryam Saleh - Nouh Al Hamam (Oddisee Production). Cpt Stalebread An astounding example of the fact that when it comes to music you do not need to understand the words to be moved to the very bones. The first track is balls-to-the-wall breathtaking. Favorite track: Maryam Saleh - Nouh Al Hamam (Oddisee Production). 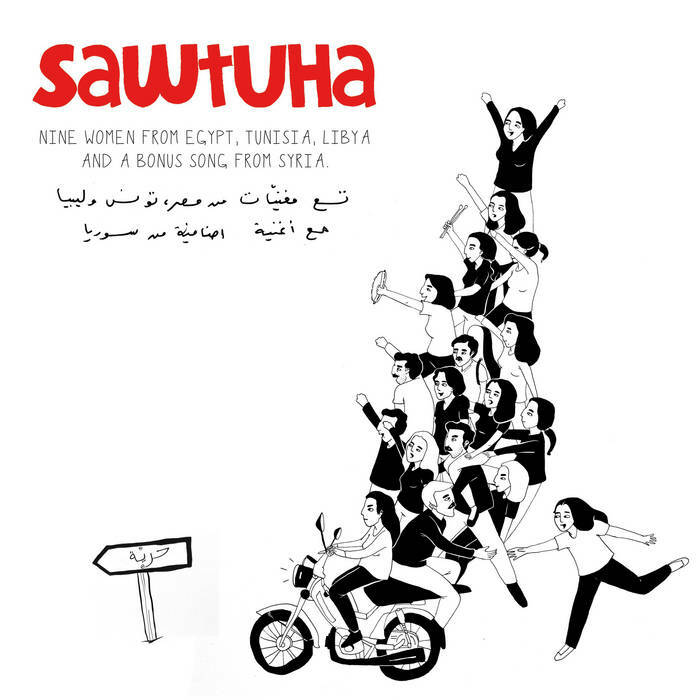 Emma Wallace If Maryam Salah x Oddisee's track is anything to go by, Sawtuha is going to be pretty amazing. dhruvbhutani Fantastic collection of music from some very good artists Favorite track: Maryam Saleh - Nouh Al Hamam (Oddisee Production). At the time and still today especially musicians and especially women were and are trapped in a spiral of repression, discrimination and violence. "Sawtuha" (Arabic for "her voice"), the album that is the product of the 2-week session, is a vital encouraging testament of rebellion against the repression of democratic rights, gender inequality, and lack of inclusion. The music is an organic mixture of traditional Arabic music, regional influences and various forms of contemporary Western musical genres. A mixture that may sound contradicting at first but makes total sense once you listen to the music.